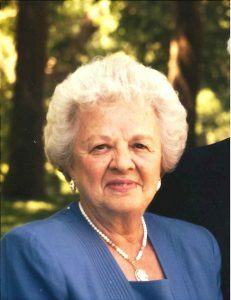 Visitation Thursday 4-7 P.M. with Rosary at 7 P.M.
Kathleen Cantlon, 95 of Schuyler, died May 29, 2016 at Brookstone Acres in Columbus, Nebraska. Born on July 31, 1920 in Armstrong, Iowa to her parents, Michael and Martha (Engesser) Kennedy, she was the 2nd of 9 children. There she attended and graduated from Seneca High School as the Salutatorian. She was preceeded in death by her spouse, Eugene “Gene” Cantlon. As well as her mother and father and her brothers and sisters; Deloris Looft, Sister Leah Kennedy, Gerald Kennedy, Donald Kennedy, Robert Kennedy and Edward Kennedy. She is survived by her brother Wayne Kennedy and sister Margorie Duhigg as well as her three children Gary Cantlon (wife Michele) and his four children Erik Cantlon, Amanda Cantlon Mireles, Chris Cantlon and Jesica Hanna and their 9 great grandchildren and 1 great great grandchild, Joanne Terry (husband Ryan) and her three daughters Jamie Lyn Terry, Michele Drechmann and Melissa Dangles and their 4 grandchildren, Janet Mira (husband Allan) and her three children Kristen Mira, Nicholas Mira and Anthony Mira. After graduating from Hamilton Business College in Mason City, Iowa, Kathleen worked as a bookkeeper for 4 years in Gambles Store. In the middle of that time she was married to Eugene Cantlon on February 7th, 1946 in Armstrong, Iowa. Both were associated with the Gambles store for many years in Aberdeen, South Dakota, O’Neil and Oxford, Nebraska and eventually moved to Schuyler, Nebraska in 1958 where they eventually bought the Gambles store there and operated that hardware store until 1975. Kathleen also worked at the local post office in Schuyler for 12 years and retired from there at the age of 63. Kathleen remained active in the community by being involved in the St. Augustine's Altar Society, being a member of a ladies Study Club, and volunteering regularly at the Benedictine Mission House. She spent years delivering Meals on Wheels. She was a very active person keeping up her home, playing in a weekly bridge group and enjoying golf until she was 90 years old. She enjoyed regular visits from her long distance family and will be dearly missed by them all.